Experience the tropical setting of this quaint 2 bedroom/2 bath home. 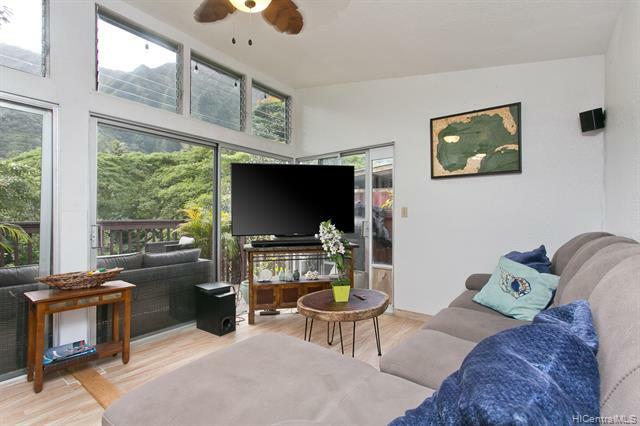 Private and serene location allows for peaceful enjoyment of the Koolau Mountain views and soothing sounds of a small creek from your large wooden deck. You have to see this home at night also to enjoy the beauty. Over 30 orchids right off the deck, don\'t miss this one. Move-in ready, act now!